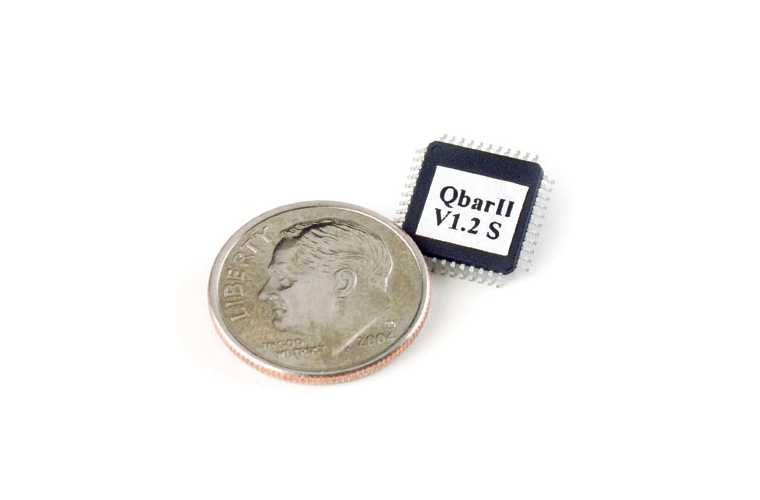 The Quickbar II is a fully featured single-chip solution far smaller (just 12mm square) than traditional decoding chip sets. It is an exceptionally reliable high-speed decoder for all popular bar code symbologies including Code 39, UPC, and Interleaved 2 of 5. Quickbar is capable of decoding speeds up to 100 scans per second. The Quickbar II features a programmable memory that enables rapid upgrades and easy firmware revisions. This low power, high-speed decoding chip is designed for use in handheld scanners, slot readers, fixed mount scanners, decoding boxes, and portable data terminals.